Introduction: If you're not one of the top four or five favored fishing reel manufacturers, the low profile baitcaster business is a tough market to crack. Come in with a questionable product and you are forever tainted as a brand to avoid. Yet each and every year at ICAST, we see companies try to break in and gain a bit of that market share. Companies keep trying because every now and then it really does work. Witness the resurrection of Lew's and Abu Garcia in recent years. Consumers like alternatives and competition is what drives all companies to make products that outperform the next. At TackleTour, we enjoy seeing new products from manufacturers trying to grab a piece of the bigger pie. 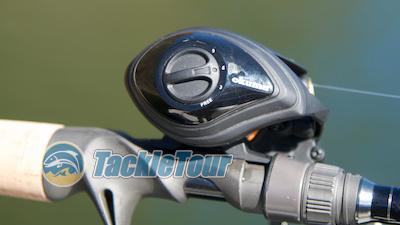 Today, we take a look at a mid-line product from a manufacturer whose had their share of criticism from consumers along their baitcaster journey. 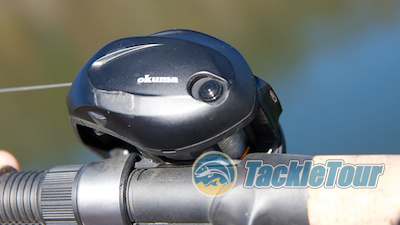 Is Okuma finally poised to make a move into the low profile baitcaster market? Here's our take on the Citrix suite of reels. Impressions: The Citrix-a is Okuma's second iteration of the same platform. Not having fished the first generation of this reel, the only differences I can discern from the specification sheets is that Okuma increased the bearing count and lowered the price by five dollars. The 200 sizes are available in 5.4:1 and 7.3:1 retrieve ratios and the new, 300 size reel in 6.4:1. All but the 5.4:1 200 size is available in both left and right hand retrieve. 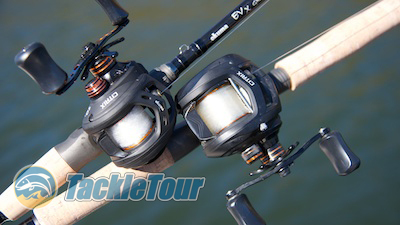 For the most part, the 200 and 300 size reels are the same, so this review applies to both sizes. However, we will highlight differences where applicable in the body of this review. Introducing Okuma's Citrix suite of reels. Quality/Construction: For the 200 size reel, the Citrix's finish is a mix of flat black and some gloss black highlights on the palming sideplate and at the base of the dragstar. The 300 size reel does not share the same non-handle sideplate design and is mostly flat black all over. Both reels have a somewhat no-nonsense feel to them cosmetically. The fit between the frame and sideplates is very good, but when holding the reel one hand, restricting the movement of the spool with my thumb, and using the other hand to grasp the entire handle, I can feel a little backplay in the handle as I wiggle it back and forth. There is no movement, however, pushing and pulling the handle assembly into and away from the body of the reel. The knobs all had about half to one millimeter worth of play into and away from the handle depending on the knob. The 200 sized Citrix rigged and ready to go. 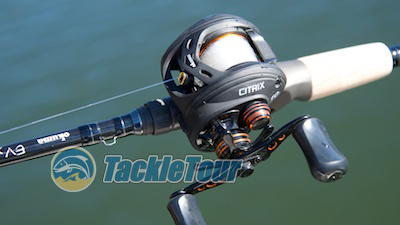 Performance: Testing grounds for the Citrix were primarily out on Lake Ouachita, Arkansas, but also a handful of excursions out in waters local to us here at TackleTour. The 200 sized Citrix features externally adjustable casting brakes. The 300 sized Citrix's sideplate needs to be removed to access its casting brakes, but the interesting thing here is this reel has a clicker actuated by that button next to the Okuma logo. Next Section: How refined is that retrieve?